Natural Ability Vs. Hard Work! What Makes a Great drummer? As you watch your favourite band performing live, you may gaze upon the drummer in awe as he executes an incredible drum solo, or nails an extremely difficult fill with ease, and wonder to yourself- how did he get so good? The world is filled with brilliant musicians. All you need to do is have a quick browse online on YouTube, Spotify or Instagram to see and hear the quality of drummers today for yourself. All of your favourite drummers, whilst each incredibly unique, all share one thing in common. They were all motivated to become better musicians through lots of practice and sheer determination! Lots of drummers will attest to discovering an innate sense of rhythm from an early age. Rhythm is the fundamental cornerstone of drumming, but it does not translate to immediate drumming perfection. Coordination and technique are equally essential skills to contributing to a drummer’s playing ability. These are developed over time through practice, experimentation and most importantly having fun. A drummer will improve and mature in a journey of self-discovery behind the drum kit, spending time figuring out what works well, and how to apply the techniques best. Through enjoying practicing and playing along to music a drummer will also begin to shape his own musical tastes and his playing style will be a reflection of that. The flames of creativity and passion are ignited from an enjoyment of drums. There is often an impression that the best drummers are born with a gift of flawless drumming ability. 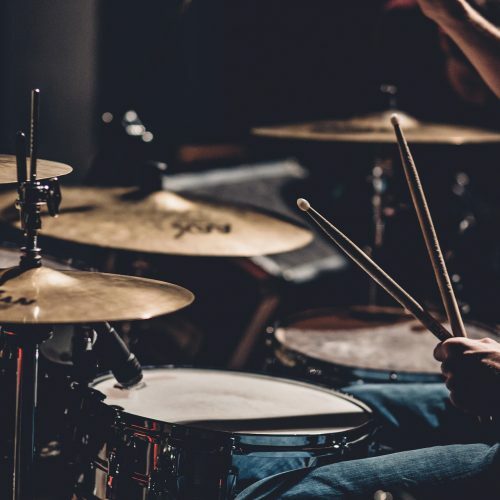 The truth is that the top-level drummers are generally the hardest working and have perhaps taken a long and testing route to achieve such a high level of performance. Many drummers are driven and motivated to practice in order to overcome weaknesses in different areas of playing. From past experiences musicians also learn to adapt from failures in order to constantly progress as a musician. Each drummer has completely different experiences that will over time form a musical identity. There is a well-known principle that dictates it takes 10,000 hours of deliberate practice to become a master in any field. There are certain environments where pressure may be put on young musicians in order to exceed, for example from parents, or within certain music schools. Some famous Gospel drummers will attest to having to compete with other young drummers all fighting for the seat to perform in church. But whilst this competition may exist in some circumstances, the drummer himself will reach a point where he must feel motivated all by himself. This means a drummer will be required to put in the time, effort and energy willingly in order to improve as a musician. Not only will a drummer have to give these, but also in order to sound great, money must be spent on a range of good quality equipment. Although buying drums and cymbals is exciting, a drummer must part with money so he can pursue his passion. The road to success is often long and testing, and there are many setbacks and sacrifices that are to be made in order to become a great drummer. The iceberg reflects what people see as a result of success. Other people may NOT see the failures, sacrifices, risks and emotional distress that stand in the way from achieving ones goals. Despite these negative drawbacks, a musician should not let any of these prevent him. Persistence and discipline permit a drummer to be focused with the love of drums and music sovereign. As I write this article, I don’t do it with the intention of discouraging you from attempting to reach great heights. I write this article with a sense of purpose, to educate and inspire a sense of belief and to encourage the necessary discipline to practice and discover the potential you possess within! 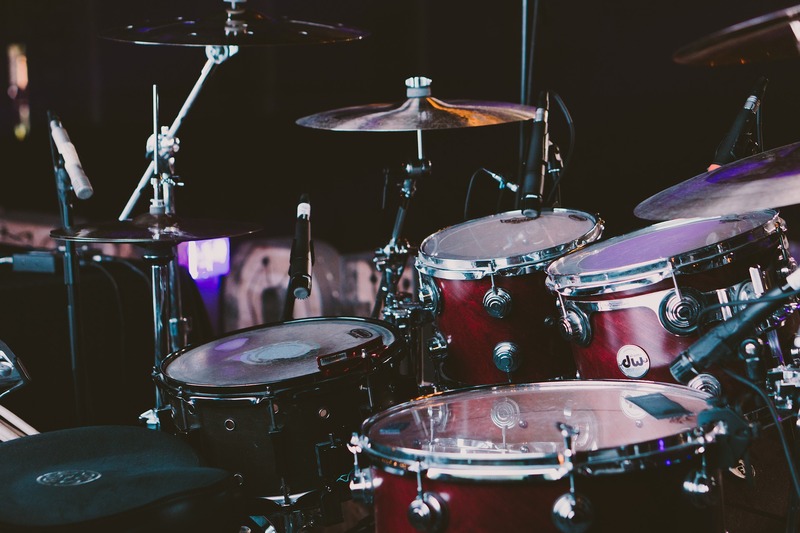 4 Reasons Why You Should Hit The Drums Harder! 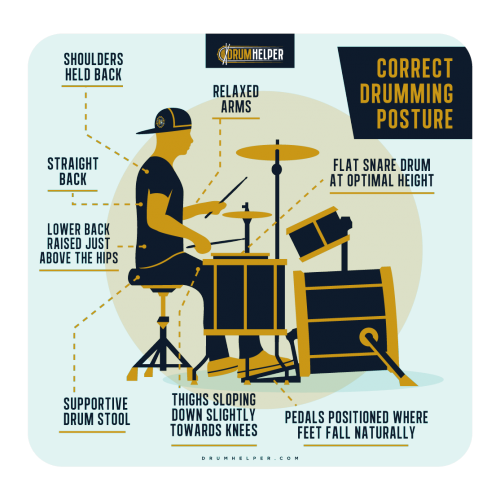 How to Ensure Correct Drumming Posture!